Maria Butina, the Russian national who pleaded guilty to conspiracy to influence Republican politics, won’t contest any government effort to deport her after she serves her sentence, she said in court filings Friday. 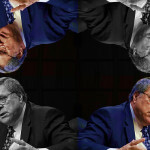 Attorney General Bill Barr’s latest letter to Congress about special counsel Robert Mueller’s report has several pieces of news about the next steps of the report’s partial release. President Trump surprised congressional Republicans with his renewed interest in overhauling the U.S. health care system — a touchy subject for the GOP since their last attempt to do so helped Democrats take back the House and scores of state-level seats. 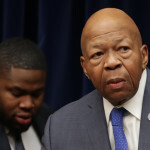 On the heels of a request that Georgia turn over documents related to allegations of voter suppression, the House Oversight Committee is now seeking documents from election officials in Texas and Kansas, the committee announced Thursday. Maria Butina, a 30-year-old Russian national who ingratiated herself with conservative circles and the gun rights movement in the U.S., will be sentenced on April 26, a federal judge said Thursday. Prosecutors in Washington D.C. are close to charging Greg Craig, the Obama White House Counsel whose work for Ukraine ensnared him in special counsel Robert Mueller’s investigation, CNN reported Thursday. 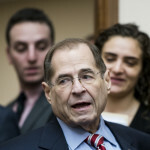 Attorney General Bill Barr indicated to House Judiciary Committee Chairman Jerry Nadler (D-NY) that the Justice Department would not meet House Democrats’ April 2 deadline for releasing special counsel Robert Mueller’s report, Nadler told reporters Wednesday. In the lawsuit challenging Texas’ use of a error-ridden list to try to purge voter rolls, a federal judge on Wednesday dismissed the claims against Attorney General Ken Paxton, but denied the request by the counties sued in the litigation that they be dropped from the case. Mark Corallo, who served briefly as a spokesperson for President Trump’s legal team, had a lot to say on an ABC News podcast about the infamous statement Trump helped draft from Air Force One mischaracterizing the June 2016 Trump Tower meeting. 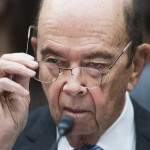 Commerce Secretary Wilbur Ross has declined an invitation to testifying in front of a Senate Appropriations subcommittee about the Trump administration’s budget proposal, the top Democrat on the subcommittee said Wednesday.